This ongoing series is my most recent body of work (2017 - present). I believe that we are all created in the image of God and reflect His glory, and I believe that no matter how different someone is our shared humanity allows us to see a part of ourselves inside of them; those are the concepts behind this series. The missing spaces in the paintings contain reflective material, which allows the viewer to see themselves inside of the painting. Because of the nature of these pieces, it's hard to get the full effect via image. On my Instagram page I have videos of some of the pieces that better illustrate the concept. Click on a photo to enlarge it. I believe public art is powerful and make the community in which it is in very vibrant. As I seek to get more involved in public art, I will post the projects I do here. The first is a mural with the Parker Village organization based in Highland Park, MI. The mural seeks to combine aspects of the past of Highland Park as well as the future based on the vision of Parker Village transforming their neighborhood into a sustainable community. 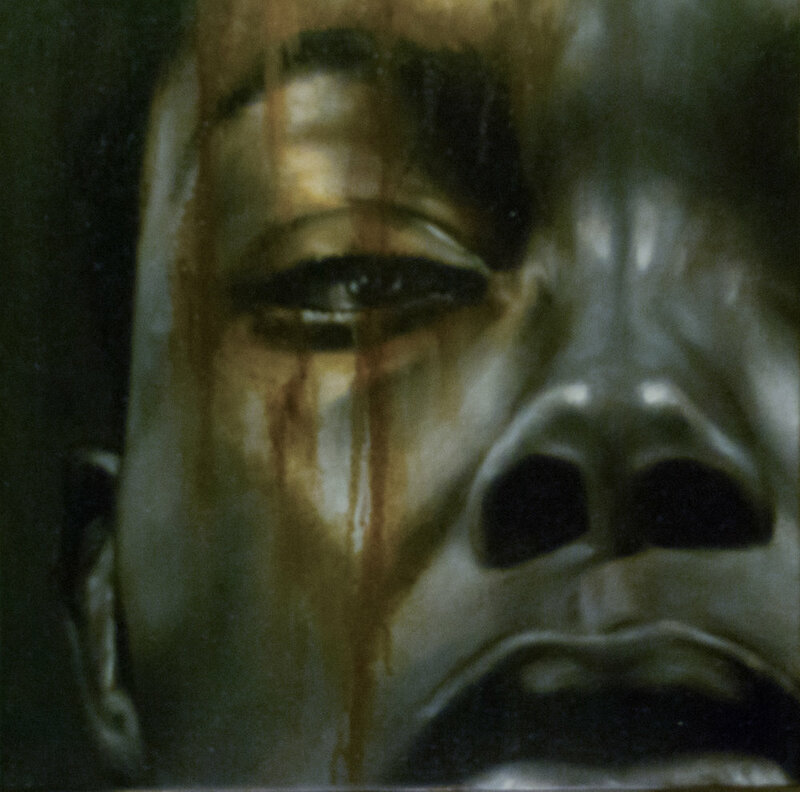 The goal of this series is to convey the emotion and pain caused by marginalization. This series was first displayed at The Saginaw Art Museum in Saginaw, Michigan in 2017 and was displayed again at the Civil Rights Heritage Center in South Bend, Indiana in 2018. All pieces are oil on canvas, either 14" x 14" or 20" x 14", and were created in 2016. Click on a photo to enlarge it. "Speramus Meliora; Resurget Cineribus" or in English “We hope for better things; it will arise from the ashes” is the motto of the city of Detroit, my hometown. These pieces were inspired by my love for my city and are meant to be an illustration of its motto. The pieces are wood on handmade panel and are surrounded by pieces of burnt wood that I collected from burned down houses on the East Side of Detroit. The burnt wood was sealed with polyurethane. These are some images from my first body of work, which I started in 2014 (the year I started painting). 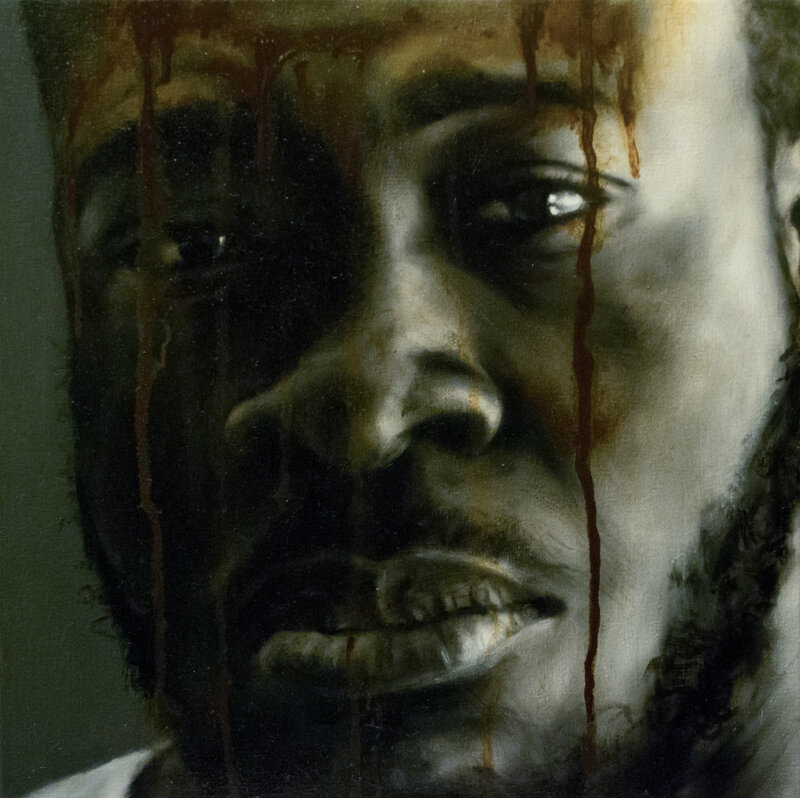 Originally, my focus was on large scale portraits (the usual size was 4ft x 3ft) of people of color. For the most part the images were all looking down upon the viewer as a subtle role reversal. 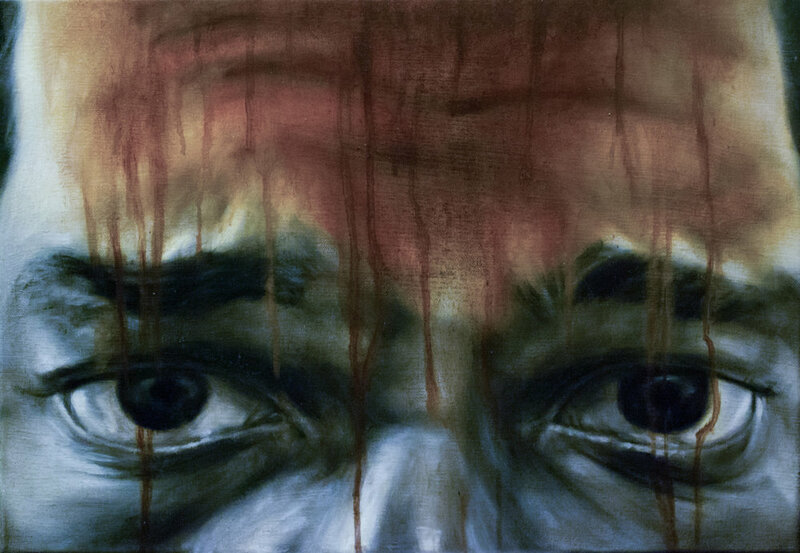 Color and facial expressions were relied on heavily to conjure up emotion. Some of the titles of the pieces were chosen to highlight characteristics of the individual that cannot be discerned from judging by looks alone (an example is this piece entitled "The Engineer"). All of the pieces are on handmade panel.